‘The most coveted committee in any B-School’, ‘the best learning experience’, ‘the self-less job’, ‘the most active committee’. By now most of you must have guessed the committee that I want to be a part of! Yes, it is none other than the prestigious ‘Placement Committee’. The committee with maximum responsibility, and yet equal benefits to reap from! 9/10 students want to be a part of it, and yet only 1/10 qualifies for it. Before you even get to be a member, the several rounds of qualification alone have so much learning to take back from! Being a part of this committee will allow me to fine-tune some of my existing skills and develop certain others, giving a fine sharpness to my complete skill set and in turn mold me into a confident and disciplined individual. These learnings of communication, networking, of multi-tasking and most importantly, getting things done; will not only help me during my MBA but also remain with me for a lifetime. This committee explains the importance of ‘Team Goal’ over ‘Personal Goals’ and manifests how satisfying it can be. Moreover, as a student placecom coordinator, I can interact with officials high up in the hierarchy of various companies, which can bring in insights of various industries, how it functions and in turn add to my pool of knowledge! In order to train my batch mates, I will be trained first by the experts, while giving me the opportunity to gain their valuable inputs first-hand. As part of the committee, I wish to make use of my existing network, put my communication skills to practice, fine tune them and use all the training to crack some new companies as well! Some particular companies I wish to bring on board would be 9X Media, Bloomberg Quint and HT Media to name a few. 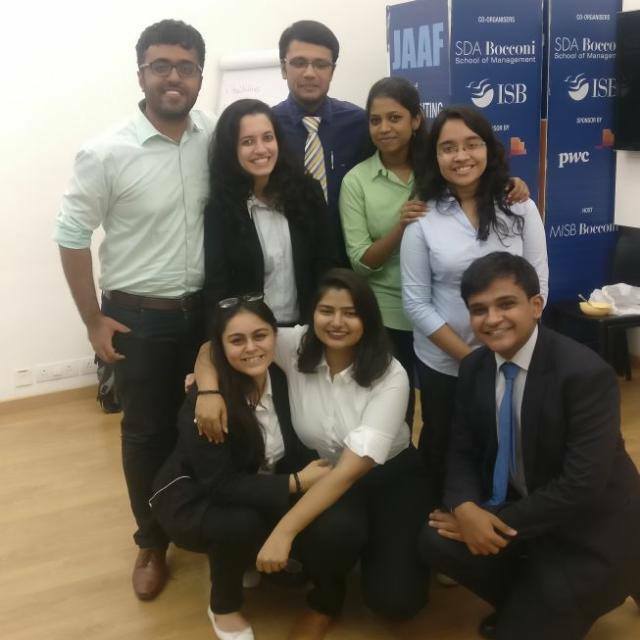 Apart from this, I would like to introduce new and corporate skill-specific workshops to make my batch mates competent enough before bringing in new companies, and also lay a strong foundation for the future batches of SDA Bocconi Asia Center. When I look at the current placement committee members, I look upto them because of the kind of individuals they have turned out to be – Confident, industrious and with a strong personality. Hence, when I go back from this place that I will be calling my home for the next two years, I not only want to take back memories, friends, networks, and skills, but also a form of accomplishment, learning, and satisfaction. Which ABGP Company will you like to work in and why? Within the broad spectrum of Aditya Birla group, I wish to be a part of the Aditya Birla Fashion and Retail Limited. It is a vast retail network comprising of some exclusive and premium brands and stores, so much so that four of its brands are among India’s top fashion brands. Louis Philippe, Van Heusen, Allen Solly, Peter England, People, Pantaloons, Forever 21 and Ted Baker to name a few are some of the popular brands under its network. Having a deep interest in Fashion and the latest trends, working at a place infused with fashion would be a dream job! I believe my past connections made in the Fashion Industry, and experience of fashion shows will give me a leverage while working at these companies because of my pre-existing knowledge for the same. Hence, a marketing or a branding function at any of Aditya Birla Fashion and Retail Limited’s brand would be my dream job.